Thanks to the recent introduction of six new voice choices, Google Assistant now features a total of eight such options — four female and four male voices. 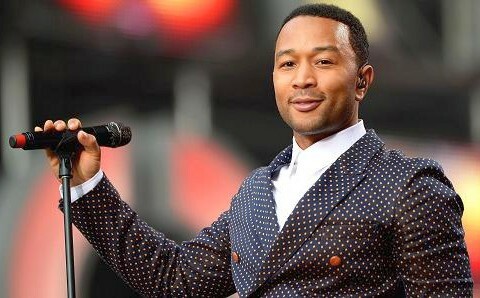 Even more, Sundar Pichai has confirmed at Google I/O that John Legend's voice will also reach the company's virtual assistant by the end of the year. Until now, those not happy with the default female voice option in Google Assistant only had one more choice — a male voice. Although I have to be honest and confess that I decided to keep the old default setting after listening to all the new voices, I must also admit that Google is heading in the right direction with these changes. The best part of the story is that John Legend fans will also be able to set their idol's voice in Google Assistant, but this will only happen later this year. This is not a rumor, but a rock-solid piece of news that was revealed at Google I/O 2018 by Sundar Pichai, the CEO of the US-based tech giant. The four male and four female voices that have been added to Google Assistant can be configured for smartphones and phablets, but also for various Google Home products. When used with such smart home devices, the virtual assistant can be instructed to use different voices when replying to certain users. In addition to the above, Google Assistant also gets Custom Routines. This is Google's example of a scenario that involves the new feature: "Kick it off by saying ‘Hey Google, dinner’s ready’ and the Assistant can turn on your favorite music, turn off the TV, and broadcast ‘dinner time!’ to everyone in the house." Continued Conversations is another addition to Google Assistant, but there is not much to say about it since the name should say it all. Those who happen to have longer conversations with Google's virtual assistant can now do it without having to repeat "Hey Google" or "OK Google" after each vocal interaction. If you never changed the default Google Assistant voice on your Android phone, the short video below shows you how to do that, but it also provides a short preview of each voice now available.